Volunteering on a Care project in Cambodia can be challenging but also incredibly rewarding. Whether you are on a gap year, holiday from university or coming to development work as an older volunteer on a career break, you will have a role to play and your contribution will be valued. Although the civil war in Cambodia has long since finished, its legacy continues to haunt this beautiful country and Cambodia remains one of Asia’s poorest countries. Children remain particularly vulnerable. In Phnom Penh most volunteers work with a Non-Governmental Organisation called Khemara. Khemara is the oldest locally registered NGO in Cambodia. Since 1991 they have played a significant role in working for the advancement of women and children in Cambodia by working directly with local communities. Projects Abroad and Khemara run nine day care centres on the outskirts of Phnom Penh. As far as education is concerned, you will provide assistance to the staff at the centres and run activities incorporating learning about literacy, numeracy and social skills. You will also teach activities like songs, games, drawing and painting. There is also the opportunity to participate in one of four mini-campaigns that we run throughout the year, which focus on education and literacy, sports and outdoors, the environment, and health and hygiene. You can read more detailed information about the aims of the project in our Cambodia Care Management Plan. Volunteers usually start work around 8.30am and finish by about 3pm, but this can vary, and your exact hours will depend on your project and individual schedule. Some volunteers who live close to their placement return home for lunch, otherwise it will be provided at the placement. Most volunteers work from Monday to Friday and have the weekends free to travel. Projects Abroad are happy to provide extra help to volunteers on the Care Projects, this may include buying some arts and craft materials or arranging a day where all the volunteers help to renovate a play area at one of the kindergartens. Input from volunteers is welcomed and we are open to any ideas you may have to help make the lives of these children brighter. 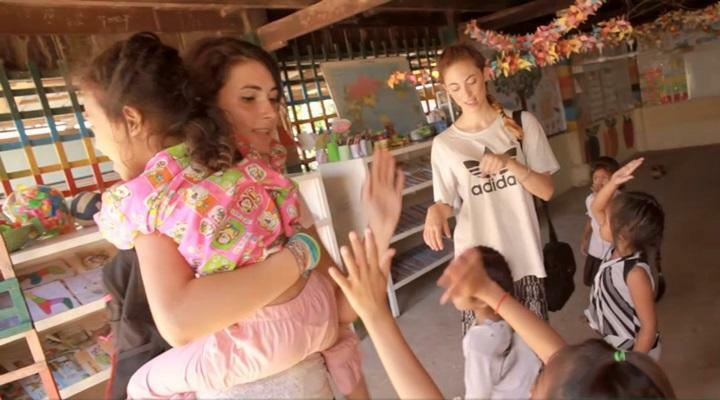 Over the years, our volunteers have worked with children at orphanages and residential care homes in Cambodia. They have done incredible work at these placements, improving living conditions there and creating opportunities for children by supporting their education and care. However, we have decided to move our focus away from orphanages and homes toward community and family-based care. This is because we believe stable family environments are best for the children we work with. Read more about orphanage volunteering and our position on it. This means that instead of volunteering in orphanages in Cambodia, volunteers will work in placements like day care centres, kindergartens and schools, or support groups for the elderly and mothers and babies. This will help Projects Abroad build stronger relationships with local communities and – most importantly – help families stay together and flourish.